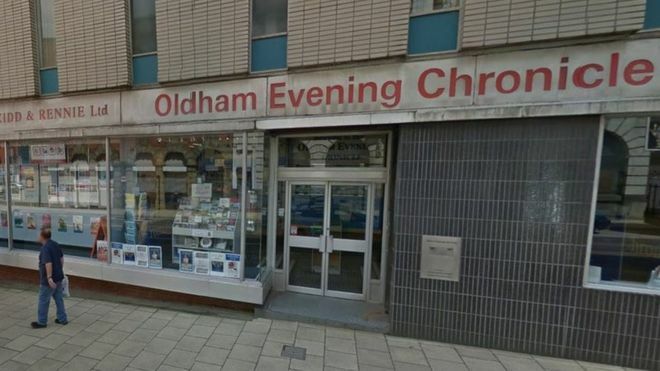 Farewell, the Oldham Evening Chronicle (founded in 1854). The paper has closed after 163 years reporting on the borough. It’s a bitter blow for the staff and those on the Chronicle’s four monthly stablemates – the Oldham Extra, Saddleworth Extra, Tameside Extra and the Dale Times.